You’ll have these easy Asiago-crusted chicken fingers on the table in flash. Two types of breadcrumbs – whole wheat and panko – combined with shredded Asiago cheese and dried oregano coat the baked chicken. Serve alongside a roasted vegetable for a delicious, healthy dinner. I’m doing something new today. 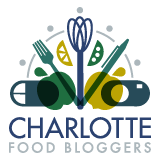 I’m joining two of my fellow Charlotte Food Bloggers – Allie and Nina – in a virtual cookbook club. Allie and Nina started sharing different recipes from the same cookbook back in February. True to form, my life is running a little behind the curve, and I’m joining the party here in June. When I reached out to Allie about joining cookbook club, she extended the invitation to cook from Skinnytaste Fast and Slow by Gina Homolka. Perfect timing – I had just checked that same cookbook out at the library. I love cookbooks. When things are going as planned, I make a weekly trip to the library to pick one or two up and flip through their pages throughout the week. When I really love one, I’ll add it to my own personal cookbook collection, and flip through its pages throughout the year. I like the way different people interpret the same things. 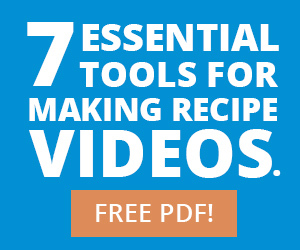 The unique ways they explain and make and share similar recipes. The stories they tell about the food they choose to include. It’s all interesting to me. In addition to actually having the chosen cookbook with me, cooking a Skinnytaste creation was of particular interest because I’ve been studying Gina’s recipes since a nutritionist suggested her blog as a good source of inspiration. Earlier this year, I visited a nutritionist to have my resting metabolic rate measured. I’ve noticed my body shifting as I age – which is fine. Perhaps not all that pleasing (i.e. I ate salad for two weeks straight – why are these pants still tight?! ), but fine. I wanted to get a better read on what I should be eating throughout the day to manage my weight and, long story short, it turned out that I had been waaayyyyy under eating. Big time. So, the first thing I did after learning I needed to eat more calories throughout the day was to order the Mac & Cheese at Panera. Hey, I needed the calories. Right? I needed more calories, but I also needed healthy calories. That’s why Skinnytaste is such a nice resource. I get good ideas for dishes that taste delicious and keep me feeling the way I want to feel. In Skinnytaste Fast and Slow, the emphasis is on quick meals and slow cooker recipes that don’t require more than 30 minutes to get on the table. A couple of my favorites beyond the simple baked Asiago-crusted chicken fingers I made are the cream of zucchini soup and breakfast banana splits. Gina recommends serving the chicken with a side of zucchini wedges. I like this idea as it would be easy to roast a pan of fresh vegetables alongside the chicken as it bakes. I wasn’t quite that up to speed and simply enjoyed mine alongside a simple green salad. I hope you enjoy yours as well. Whole wheat and panko breadcrumbs are combined with shredded Asiago cheese and dried oregano to coat the chicken tenders before baking. Serve alongside a roasted vegetable for an easy, healthy dinner. Season each side of the chicken cutlets with a sprinkle of salt and pepper. Place the olive oil in a shallow bowl and briefly set aside. Combine both types of bread crumbs, the cheese, and the dried oregano together on a small plate. Gently dip a seasoned chicken cutlet in the olive oil, then dredge the cutlet in the breadcrumb and cheese mixture. Place the prepared cutlet on a greased nonstick baking sheet. Repeat the breading process until all of the cutlets are ready to bake. Lightly spray the tops of the breaded chicken cutlets with olive oil, then bake at 425 degrees F for at least 15-25 minutes. The breading will look golden and the chicken will reach an internal temperature of 165 degrees F when fully cooked. I needed to bake my chicken for 25 minutes before it was fully cooked. I set the timer for 15 minutes, then checked the chicken every five minutes until it was done. Recipe adapted from Skinnytaste Fast and Slow by Gina Homolka. Thanks for joining us. These chicken fingers look so good and I know my kids will love them too. These look so good! I’ve made so many things out of this cookbook but never these tenders- definitely looks like something my kids would love eating, too! Thanks for linking up with us! Exactly what I need for tomorrow ! Thank you so much !